Andy McIntosh, DSc., FIMA, C. Math., FEI, C. Eng. FInstP., MIGEM, FRAeS. 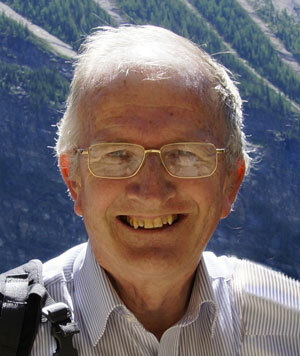 Andy has lectured and researched in Combustion and Thermodynamics for over 30 years. He is a visiting research professor at the University of Leeds, UK, and an adjunct professor at Mississippi State University, USA. He has published over 195 papers on aerodynamics, thermodynamics, combustion, biomimetics, and the bombardier beetle research, which has led to a patented spray device for applications of this technology to pharmaceuticals, fuel injectors, and fire extinguishers. He speaks widely in many countries on apologetics and the Christian faith, showing that true science is entirely consistent with a biblical view of origins. Andy became a Christian in 1969 and is committed to a belief in the biblical creation account maintaining that Genesis is crucial to our understanding of the Gospel. He has debated academics in a number of universities, and lectures and speaks on apologetics in many countries on the importance of origins and in particular against atheism. He speaks in the UK and many countries abroad and delights to present the scientific evidence for creation and passionately believes that there is no excuse for scientific minds not to accept the truth of creation. Andy is presently a visiting Research Professor in Thermodynamics and Combustion Theory at the University of Leeds, UK, and Adjunct Professor at Mississippi State University, USA. He says: "My career in mathematics and science has led me very much to the view that the world and the Universe show	powerful evidence of design. As a result, I am often asked both in the UK and abroad to speak on the subject of origins." 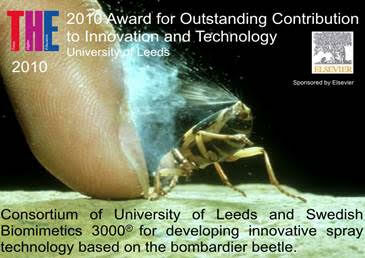 Beheshti, N. and McIntosh, A.C. “The bombardier beetle and its use of a pressure relief valve system to deliver a periodic pulsed spray” Bioinspiration and Biomimetics (Inst of Physics), 2, pp.57–64, 2007. McIntosh, A.C. “Evidence of design in bird feather and avian respiration”, Int. J. of Design & Nature and Ecodynamics, Vol. 4, No. 2, 154–169, 2009. McIntosh, A.C. “Information and Entropy – Top-down or bottom-up development in living systems?” Int. J. of Design & Nature and Ecodynamics, Vol. 4, No. 4, 351–385, 2009. “Information and Thermodynamics,” in Should Christians Embrace Evolution? (Downers Grove, IL, InterVarsity Press, 2009), 158–165. Origins: Examining the Evidence (with Geoff Barnard, and Steve Taylor), Truth in Science, Folkestone, England, 2011.